With instantly recognizable heritage designs, Hermès’ jewelry pays homage to the brand’s equestrian roots. Featuring standout pieces including the Chaine d'Ancre bracelet, vibrantly printed enamel bangles and Clou de Selle earrings, elevate your jewelry trove with classic, highly coveted designs from Hermès. Hermès jewlery collections are drawn by Pierre Hardy, who also takes care of Hermès shoes lines. 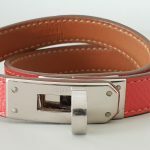 Hermès leather bracelet which are very popular. Plain or multicolored Hermès bracelet in enamel which are the most appreciated. 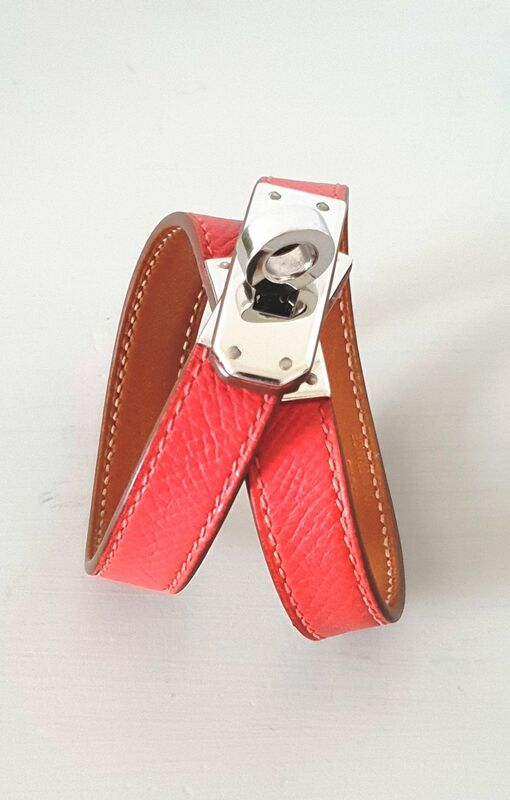 The Hermès Kelly Double Tour leather bracelet comes in several sizes, various colors and hardware. Be the first to shop it !